Any special type of carpet weaving machinery can be made on request. 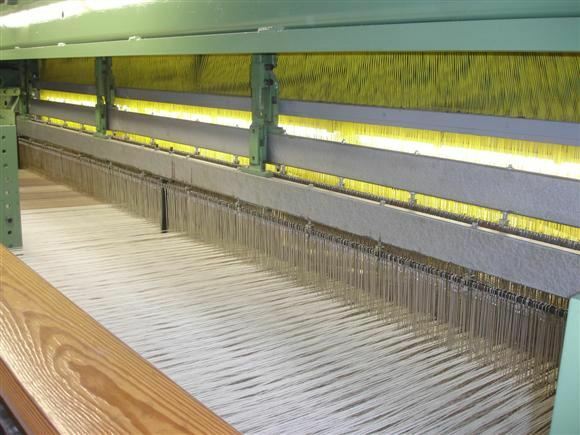 We build a made-to-measure weaving machine for specific applications. Existing looms and machinery can be modified/improved to make production more efficiënt. Or to manufacture a custom product like for instance technical textile. Rebuild shuttle into rapier weaving machine. Rebuild flatweave into rapier weaving machine. Change the shaftmotion of existing weaving machines. Dobby shaftmotion, conjugate cam shaftmotion or dobby + cam combined. Weaving machine adaptation to be able to weave technical textile. Special weft yarn accumulator for very thick yarn. Yarn stop motion for thick yarn. Install flexible rapiers on your weaving machine. Make an electronic selection box for jacquard weaving machines.